So we thought of a combination. We had our breakfast at the 24th Main (JP Nagar), a decent breakfast buffet. Mostly south Indian cuisine, with option for eating the English way too. After eating like a king we went for a movie at Cinepolis. That was just half the day. We sat for over an hour at Meenakshi Mall thinking what to do for the rest of the day. We ruled out of a lot of options as to what to do and then my TV shows knowledge came to rescue. If you see those detective/spy serials then you can relate to my next sentence. I thought what would my mom say if i ask her where would she want to go. That is when i remembered about a place that my mom wanted to go. It is called the Pyramid Valley. It is outside of Bangalore and 35kms from Banashankari on the Kanakpura road. 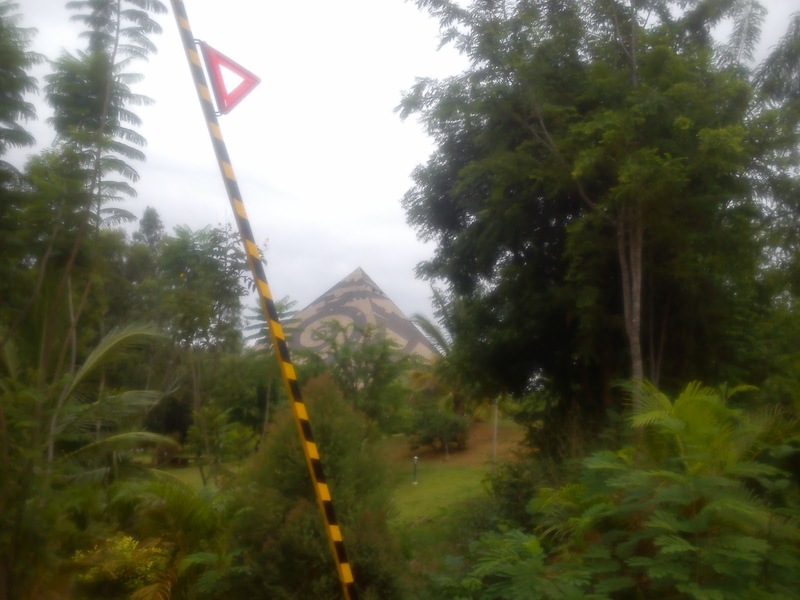 It is structure shaped as a pyramid located amongst a lot of greenery. It is said that meditating inside the pyramid helps you concentrate and focus energy, thus helping you gain a lot from it. Since we were in Meenakshi Mall we took the NICE road to Kanakpura road. And the ride on Kanakpura road was amazing. It was cloudy, smooth roads and less traffic. We did not have to pay for parking or for entry there. 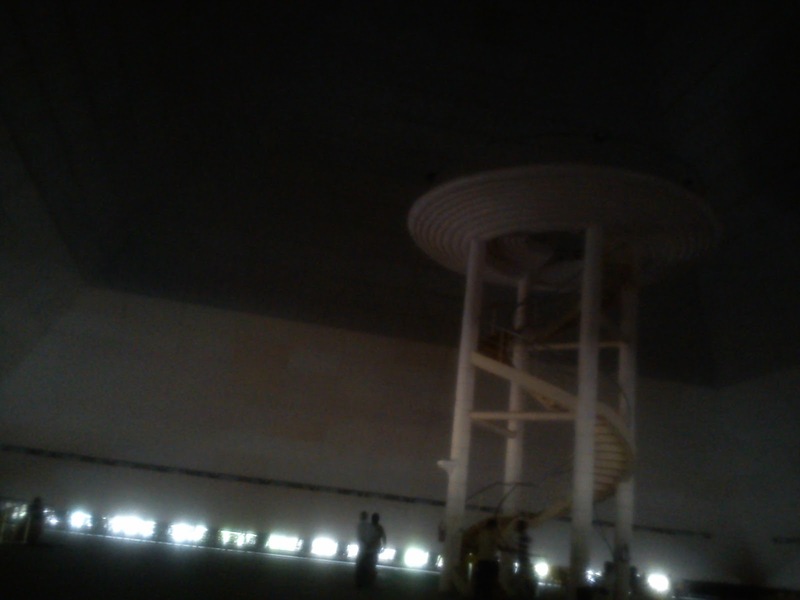 It was a nice walk till the pyramid and there was dead silence inside the pyramid. When you sit down and meditate you can hear your own breath. I felt like Naruto who was entering sage mode and there was also an urge to do that "Phaa" sound that Sheldon from TBBT does to find his spot in the theater. It has a nice garden where you can sit and enjoy being in the lap of mother nature. It started drizzling so we decided not stay back any longer and headed back. Expecting a choked Kanakpura road due to metro construction, we took the NICE road towards PES Link Road. Riding a bike alone and on an empty road gives you a lot of alone time and watching the clouds move makes you lose in thoughts. It was almost evening and we were nearing the end of the day. Its been almost 7yrs in Bangalore and we had not visited some of the major eating joints here. So we head out to Basavanagudi and had the famous Masala Dosa and Rava Vada at Vidhyarthi Bhavan. It was dusk and we decided goto a bar. So we head out to Brahmins Coffee Bar and had their famous Idli Vada and ofcourse coffee (You see what i did there :P). We then walked across to Bull temple and we were so tired that we wanted a place to sit. So we sat in the Bugle Park discussing how our life was and what its going to be in future. After sufficient rest and a lime soda it was time to call it a day. Finally a trip that was planned for months ended being a random, unplanned yet memorable day that i will be looking back forever. 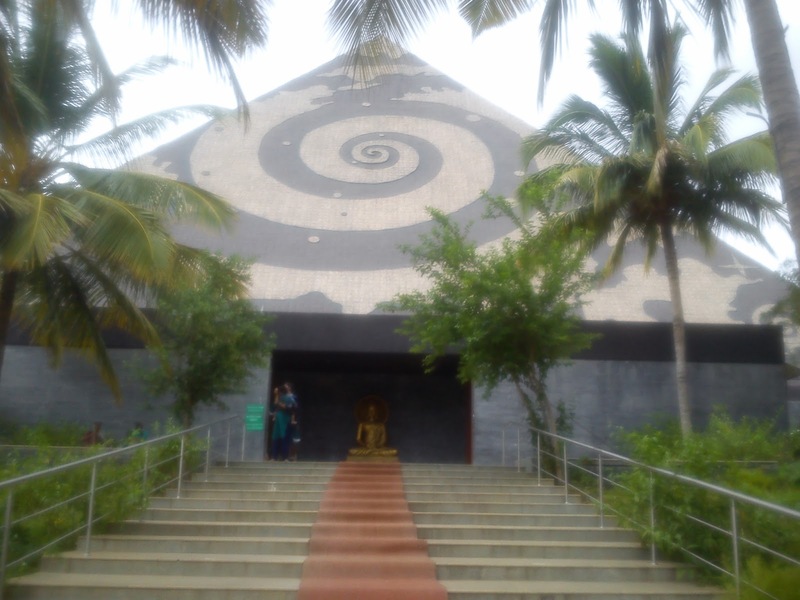 Thanks for sharing about your day outing in Bangalore with lots of fun and enjoyment.